FMCG firm Emami on Thursday reported a 6 per cent decline in consolidated profit after tax (PAT) at Rs 138.3 crore for the third quarter ended December 2018. The Kolkata-based company had recorded a PAT of Rs 147.16 crore in the year-ago period. Emami said PAT declined due to an exceptional cost of Rs 9.8 crore pertaining to voluntary retirement scheme (VRS) paid at one of its units. Total income grew 7.09 per cent to Rs 816.43 crore as against Rs 762.31 crore a year ago, Emami said in a BSE filing. Emami said despite a delayed winter in some parts of the country, resulting in a subdued performance by the winter brands, non-winter brands grew by 10 per cent during the quarter in the domestic business. Market share gains continued for key brands, the company added. "The onset of winter this quarter has been overall weak with its delayed arrival in some parts of the country. Due to this, the performance of the winter brand portfolio has been moderate. Additionally, there has been a challenge of sharp increase in raw material prices." "However, targeted correctional steps for some leading brands in the domestic market and strategic initiatives in the international business, as adopted during the last quarter, have resulted in an encouraging growth in the respective sectors. Trade channels, especially modern trade has contributed significantly to the revenues," Emami Director Mohan Goenka said. During the quarter, Emami's international business delivered a growth of 18 per cent led by SAARC and MENAP regions. 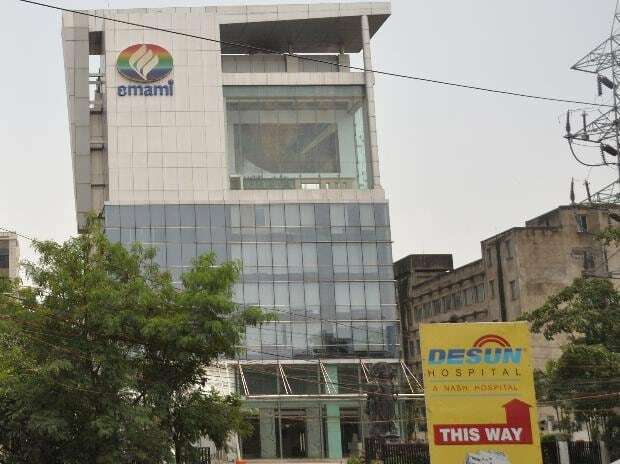 Shares of Emami were trading 1.30 per cent higher at Rs 1,216.85 on BSE.